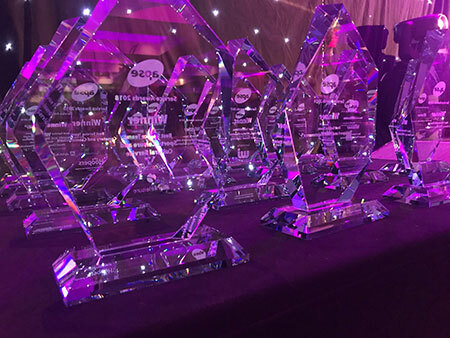 Cheshire West and Chester Council has won two awards at the Association of Public Service Excellence Awards 2018 (APSE), including the prestigious Overall Council of the Year Award. The awards were presented to the Council at a charity dinner in Edinburgh, following APSE’s two-day Annual Conference. Cheshire West and Chester’s Edge of Care Team, which provides tailored support to children and families, also won the APSE Best Innovation or Demand Management Award. The judging panel were impressed by the Council’s overall efforts to help vulnerable members of our community to thrive and lead more fulfilling lives. Councillor Samantha Dixon, Leader of Cheshire West and Chester Council, said: “We’re delighted and proud that the efforts of our teams to help people in our community improve their lives have been acknowledged with these awards. “The Council has spent the last couple of years making progress in addressing financial challenges, but at the same time delivered innovation to provide effective, local public services which focus on tackling deep rooted inequalities across the borough. “We were able to demonstrate examples to the judges where communities have experienced real benefits in their everyday lives - and people from a wide variety of backgrounds have been supported to thrive. The Edge of Care Team was recognised for helping children avoid the care system by listening to the views of children and their families, successfully managing issues and building strong support networks around the family. School attendance, attainment, home conditions and self-esteem have improved for the majority of those supported. The borough’s Work Zones, which provide integrated employment support for residents. These have delivered 3,540 qualifications to date, and supported more than 2,500 people into work. The Natural Health Service, which has improved the physical and mental wellbeing of residents with activities in Cheshire’s beautiful green spaces and natural environment. The Council’s innovative and broad ranging housing scheme, which has seen it become one of the leading developers in the borough. Through collaboration with the private sector and Homes England, the first new Council homes in Cheshire West and Chester for 40 years have now been delivered. The Library Services Team has dramatically enhanced the experience of people using the library services and increased visitor numbers, in contrast to the trend being seen nationally. The award win follows the recent success of reaching the nomination shortlist for Council of the Year at the Municipal Journal Awards.